Today I found a similar parallel between the incentivized game design so common in social games (e.g. Farmville) and pinball machines. 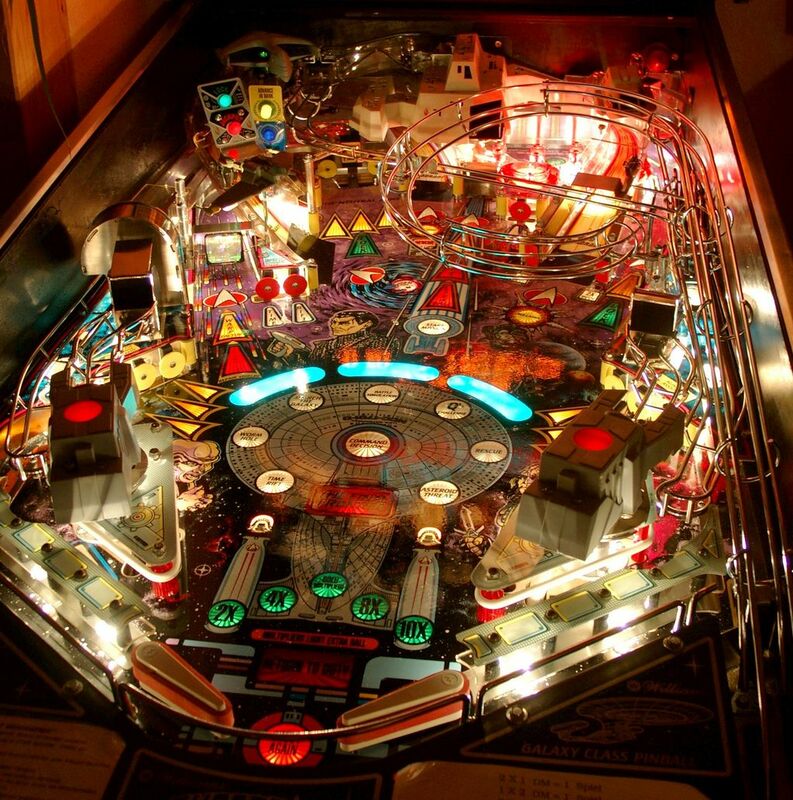 In “The Economics of Pinball,” economics professor Jeff Ely discusses how pinball machine designers gained the ability to use software (read: algorithms) to “to monitor, incentivize, and ultimately exploit the players.” Like arcade machines, playing pinball revolves for a large extent around getting a high score and, consequently, earning a free game. In my pinball days I always thoroughly enjoyed the hard click sound that tells you (and the rest of the bar) you just earned another go. There are two ways to win a free game: by reaching a predetermined high score and by having the last two digits of your score match a, seemingly random, number after your play is over. The early versions of this algorithm were crude, essentially targeting a weighted moving average. But later implementations were more sophisticated. The goal was to ensure that a fixed percentage, say the top 5% of all scores would win a free game. The score level that would implement this varies with the machine, location, and time. The algorithm would compute a histogram of scores and set the replay threshold at the empirical cutoff of 5%. Later designs would allow the threshold to rise quickly to combat the wizard-goes-to-the-cinema problem. The WGTTC problem is where a machine has adjusted down to a low replay score because it is mostly played by novices. Then anytime an above average player gets on the machine, he’s getting free games all day long. The other tool is the match probability: you win a free game if the last two digits of your score match an apparently random draw. While adjustments to the high-score threshold is textbook price theory, the adjustments to the match probability is pure behavioral economics. Let’s clear this up right away. No, the match probability is not uniform and yes, it is strategically manipulated depending on who is playing and when. For example, if the machine has been idle for more than three minutes, the match probability is boosted upward. You will never match if you won a free game by high score. And it gets more complicated than that. Any time there are two or more players and they finish a game with no credits left, one player (but only one) is very likely to match. Empirically, the other players will more often than not put in another quarter to play again. The implications for more contemporary game play are the following: as we all play asynchronously on social media platforms and so on, a reasonable reward-structure needs to be in place that at once incentives hard-core players and new entrants alike. Particularly in response to recent Scamville calamities and the emergence of new business models that hinge on people to pay for their play, I believe this is an insightful snippet of game theory. In the comments on the article, I also found this article, which talks about the economics of pinball maintenance. Although less relevant, because online game play does not present the same physical obstacles, it does give a good sense of how and where people play, and the challenges this poses for designers and game companies. Of course, digital games do not need to be serviced “on location.” But my guess is that, as the retailing side of video games will go through an imminent transition (more on this later), capitalizing on the newly emerging marketing potential will benefit from understanding the overall behavioral patterns of players. Of course, the first thing you need to go right now, is check out the silver balled robot that ate my quarters.